Social media, mobility, cloud, and IoT have transformed the way data is captured, stored, and managed…and stolen. 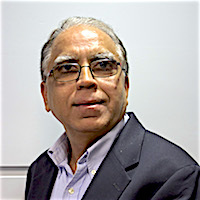 Satya Sachdeva is the VP for Sogeti's Insights & Data practice. With over two decades of experience in all aspects of Information Management, Satya has been helping clients develop innovative enterprise information management solutions to leverage Big Data, Advanced Analytics and Traditional data warehousing for achieving competitiveness, customer-centric business models, profitability, risk management and enabling operational efficiencies across different verticals. His unique approach has resulted in higher efficiencies, cost savings, and substantial improvements in time-to-market in the areas of data movement, data transformation, data quality, data security and business intelligence. The General Data Protection Regulation (GDPR) is now in effect and requires EU companies to take serious precautions in order to better safeguard customer data. But this shift is relevant beyond Europe—with data breaches impacting some of even the most respected and popular US brands, the need to protect customer information has never been more important. The average cost of a data breach in 2016 was $2.4 million. Plus, non-compliance with GDPR provisions is subject to fines of up to $20M or 4% of the total worldwide annual turnover, whichever is higher. Customers expect their data to be secure—breaches can damage your brand, customer satisfaction, and future sales. So how can you safeguard your customer data AND your company? Our team is one of the few organizations with a truly complete data protection and GDPR requirements offering that is designed to help you from beginning to end—including strategic consulting and assessment of your current state all through solution implementation and on-going monitoring of threats. We can help you organize, protect, and monitor your customer data with solutions that are modular and saleable to your specific enterprise needs and size. Want to see our solution in action? Fill out the form below to request a demo.